I am back in Thailand, starting my second semester here teaching at Cornerstone Student Center. I am feeling refreshed after some sweet time with family over the holidays and a couple of weeks traveling in Japan (there go my savings, but so worth it). What a beautiful country! How to make up for an entire semester neglecting to post any blog updates at all…I will try to summarize; bear with me while I catch you up and try to do a bit of justice to the last four months. Let me start with describing the ministry that I am participating in. At Cornerstone Student Center (CSC), our service is offering classes to university students in English conversation. We serve students at all English levels, covering different topics each week (i.e. vacations, friendships, roles and responsibilities) to help students learn relevant vocabulary and gain practice and confidence speaking. Although the function of our ministry is teaching, our purpose is relationship building. Teaching English provides us with an opening to connect with students and begin the slow but rewarding process of investing in them and building friendships. Many factors, including cultural and language barriers and the hectic schedules of our students, tend to make relationship building pretty slow-going. 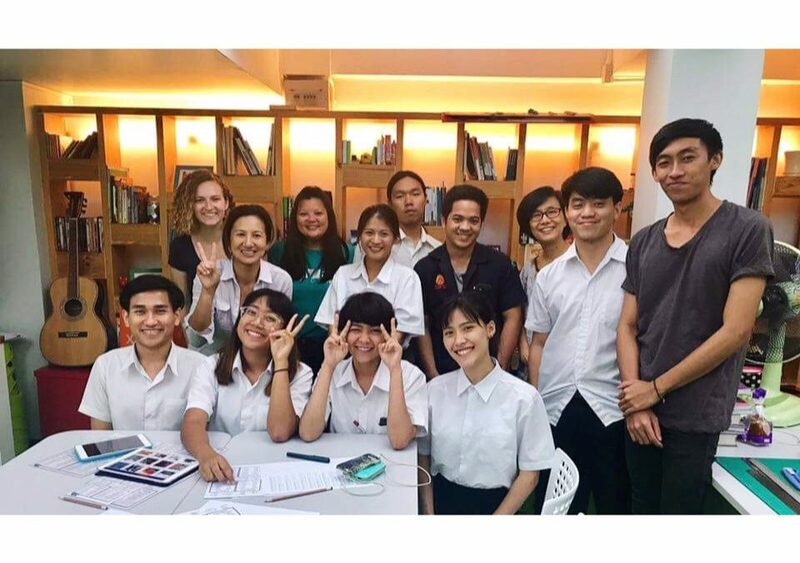 Thai students are lovely, very friendly and enthusiastic about learning, but the work load and academic standard in their university setting is extremely high, leaving them with little time to attend an extracurricular English class regularly. There are of course additional limitations to connection stemming from the fact that our cultural contexts have little overlap and we have different ways of relating and making friends. Though I adore my students and really enjoy teaching, I would say that this is probably the biggest challenge that I face in my work and ministry. Though it has its hurdles, investing in students has also been the most rewarding piece of my time in Thailand so far. There are several students who, through CSC, have started to become curious about Christianity and are now asking questions about faith and their life purpose (this may sound small but trust me, it is a big deal!). This has been a long process that began several months before I even arrived in Thailand, and the groundwork was laid by volunteers before me. But I am fortunate to witness the fruits of their labor, and this encourages me and gives me hope that the time and energy I am pouring into students will establish roots of Christ’s love that may begin to inspire them to seek, challenge them to ask questions, and slowly but surely transform their attitudes, perspectives and hearts. It is definitely a test of patience to trust that God is working in His own time and to simply be available and love. But it is one that I believe will be worth it, even if growth isn’t visible until long after I am gone and settled back in the States. Please join with me in prayer for our beloved Thai students. I pray that God would give them peace despite their over-loaded schedules and many responsibilities, and that they would find a safe haven in Cornerstone Student Center and joy in learning English. More than anything I pray that they would see Christ’s love in us and that ultimately they would desire to know Him. It is less than three weeks until I depart for Thailand. Thank you so much to all of you who have supported me financially and in prayer. I have less than $500 to raise before being fully funded, and I am amazed by God’s provision and the generosity of my family, friends, and church community. The purpose of this mission goes beyond my 9-10 month internship, and it is a gift to see God’s people coming together to help the church in Thailand make an impact on the community. You are each a part of this ministry and I would not be where I am without your support and involvement in this process. Please continue to pray for me as my departure approaches, especially for preparations to continue smoothly and for safety as I travel. Please also pray for the ministry in Thailand and for the university students that I will be working with. I am praying that we are able to overcome language and cultural barriers to build genuine friendships, and that the love of Christ will be evident to them through the work that I do. Thank you for your love, encouragement, and prayers as I step out into the [somewhat] unknown and follow God’s call. I am continually grateful for the people in my life, without whom I might never have taken this step and who have played a huge role in the discernment and preparation process. I plan to keep up with blog posts pretty frequently during the course of my internship to keep you all in the loop. 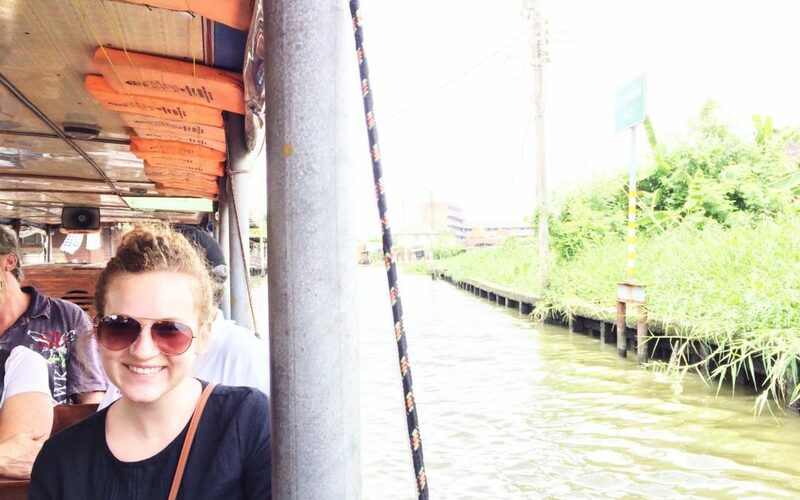 Stay tuned to hear more about my ministry in Thailand!